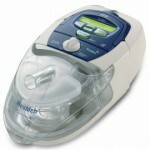 CPAP machines are life savers in true sense. They allow sleep apnea patients and people having breathing problems soothing conditions to get a full night sleep without being awakened every now and then; by the disrupted beating pattern or inability to breath. 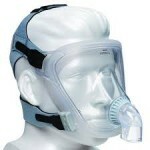 But the trouble with the CPAP mask is that they are bulky and normally trap its users into one sleeping position. 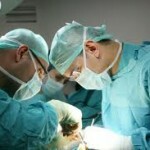 If the user tries to turn during sleep or turn his head, the mask will also shift and cause air to leak by the hollow area emerged between person’s cheeks and mask. This prevents the CPAP machine to work properly. 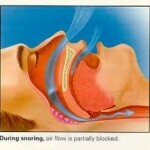 In the previous post we have discussed about a remedy that is CPAP sleep aid pillows. 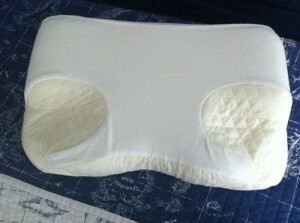 They are especially designed to allow room for the CPAP mask. These CPAP sleep aid pillows are readily available in the market; else you can also make your own sleep aid pillow to ensure restful of sleep every night. The advantage of creating your own pillow is—you can make it according to your own sleep position and the type of mask you use. First, take scissors and cut the foam rubber sheet to a piece of 16 inches by 24 inches. Place the piece that you cut from the foam sheet on the bed. Lie on your back keeping the back of your head on top of the foam sheeting. Adjust the piece of the foam rubber sheet so that the lower edge of the foam touches your shoulders. Now take a marker and draw a line along with your positioning of your head placed over the foam sheet. Start marking from the end of your neck area where you head contour begins. Put on your CPAP mask along with tubing. Now turn you head to the right side and notice what is your comfortable position. Now carefully mark the area where your cheek lies and also the area where mask and tubing lies. Make sure you did not mark on the mask. Repeat the step 4 for a turn-to-the-left side. Carve the foam with scissors. First cut the top layer of the foam to make a “pothole” for the back of your head as you already marked. Leave the neck area as it is to give proper position for your neck while your head drops into the pothole you have created. Continue carving to bring the depth out, keep trying the comfort of the pillow and carve wherever you needed. Now carve the foam at the cheek and mask area. If required, you can fully remove the area where the mask lies. Retry the depth to make sure the mask stays sealed to your cheek while you turn your head. Repeat the process of the left side. After sewing inspect the contours are still accessible. A tight pillow cover will not allow the mask to drop fully into the contoured space.